Burj Khalifa in Dubai is the world’s tallest building. The rocket-shaped structure took 6 years to build and was completed in 2010. It’s so big, that you’ll struggle to get it all in on one photo! 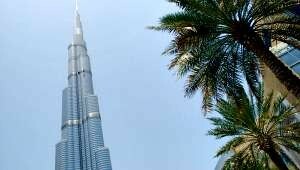 It has 160 floors and reaches up 828 metres. You can see it for free by looking up from the ground near Dubai Mall, with the fountains around you, but the best experience is to pay to go to the top and look down. 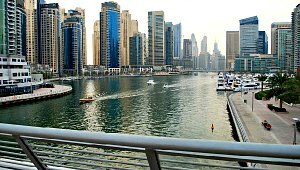 Dubai Marina is a relatively new area of Dubai but there’s still lots do see and do here. The two big highlights for us were the marina itself, packed with impressive yachts and tall apartment blocks but also the lovely stretch of sandy beach on the coast. 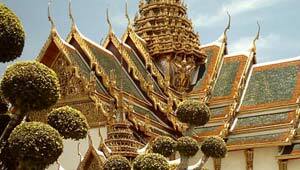 The Grand Palace in Bangkok is the former home of the King of Thailand, who now lives at Chitralada Palace. The Palace was used for hundreds of years as the main royal home until 1925 and it is the big highlight of most city breaks to Bangkok. It’s the one thing, you shouldn’t miss! 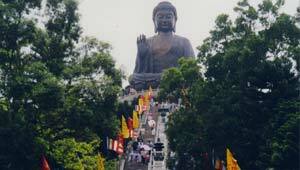 Lantau is home to two big attractions. Firstly, the world’s tallest seated outdoor bronze Buddha and secondly the Disneyland park. 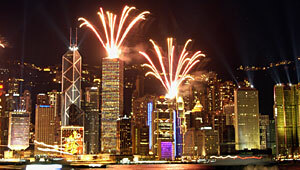 It’s also a place of peace and tranquillity compared to Hong Kong Island and Kowloon. It’s easy to spend a full day here, even if you’re not visiting Disney and it’s one of the most rewarding parts of a visit to Hong Kong. This is one of the most impressive free light shows you’ll see anywhere in the world. Every night at 8pm, 44 buildings on both sides of the Victoria Harbour in Hong Kong synchronise their lights and show off lasers in time with music. You’ll need to be on the harbour walkways on either side of the harbour to hear the music and get the best view of the lights. 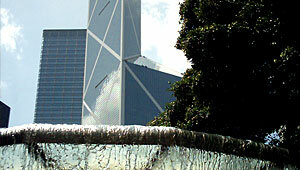 Hong Kong Park is a very attractive 8 hectare park just off Cotton Tree Drive near the Bank of China building. We stumbled on it by accident, but it’s beautiful and completely unexpected. Outside there are waterfalls, a lake, huge rock areas, streams, you name it and it’s all man made. You’ll also find a huge indoor aviary and an enormous conservatory for display plants.